The Prestashop social login popup module does not a replace your store's default login page. Instead, it can be used in parallel to the default login page as a compliment. The main aim of this Prestashop quick login module is to provide your customers a quick login interface without redirecting to a different page. 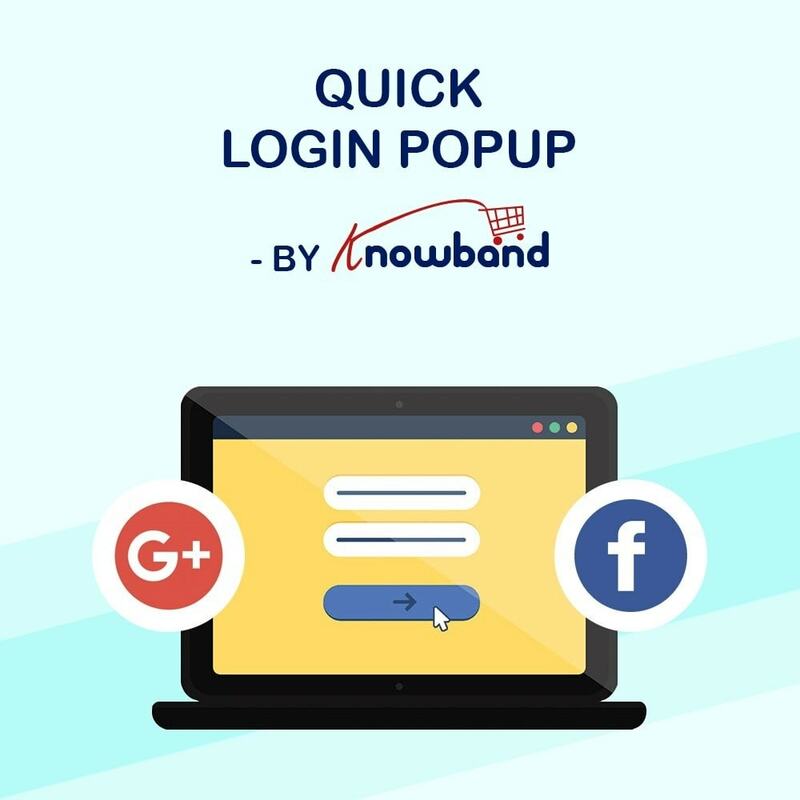 A simple pop-up that can also accept the social login will allow the customers to log in from any website page. - The Prestashop advance login popup addon helps in optimizing your store’s navigation. - It helps in increasing your sign-up conversion using its social login feature. - It helps in logging into your site from any page without visiting the login page. - This Prestashop addon quickens and simplifies your website’s login process. The Prestashop login popup addon helps the customers to log in from any website page using the link in the header. One-click login process without going to the login page. Does not replace the old default login page. This Prestashop module offers social login option through Facebook and Google Plus. Proper inline validations to handle the mistakes and errors. 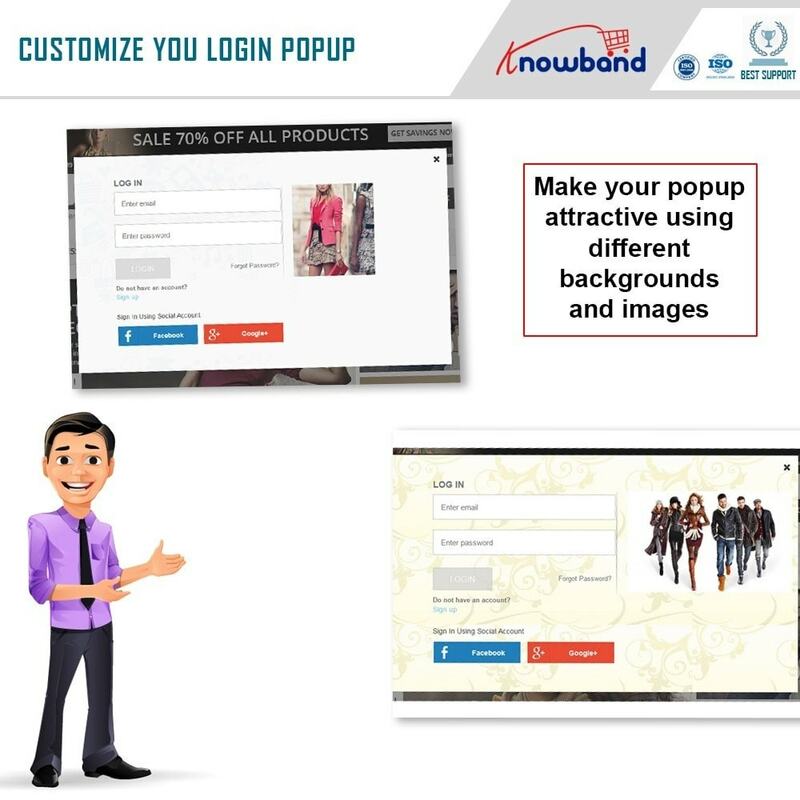 The Prestashop advance login popup allows the admin to add a background image to the pop-up. 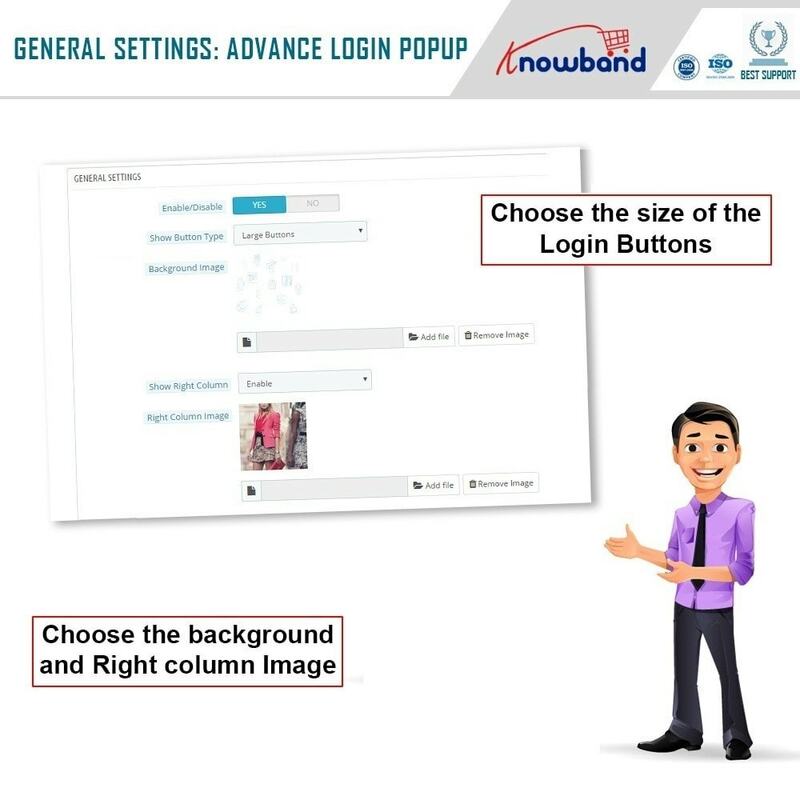 Admin can add an extra image to the right column of the pop-up. Admin can show or hide Facebook and Google login buttons. 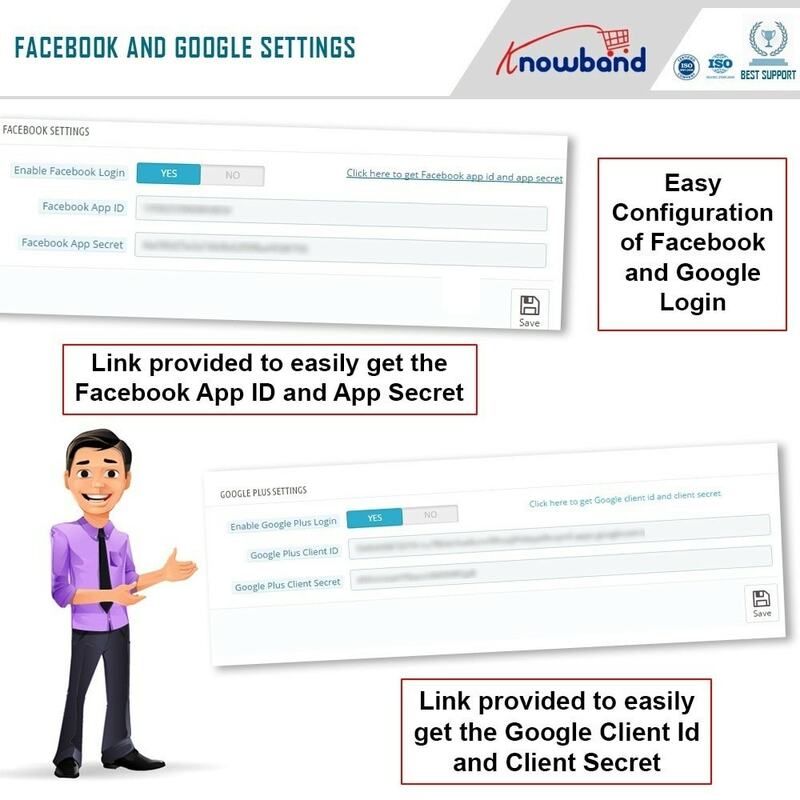 Stepwise tutorial to get Facebook and Google Plus API details in the Help Manual. The social login popup module has the option to show large or small social login buttons in the pop-up. Enhanced security with SSL Compatibility. The Prestashop login popup module is multi-store compatible. This Prestashop module is compatible with all the PrestaShop themes. Customer will like the quick one-click login process. They will appreciate the quick sign-in from any website page. Social login option would be a great feature to make some happy customers. 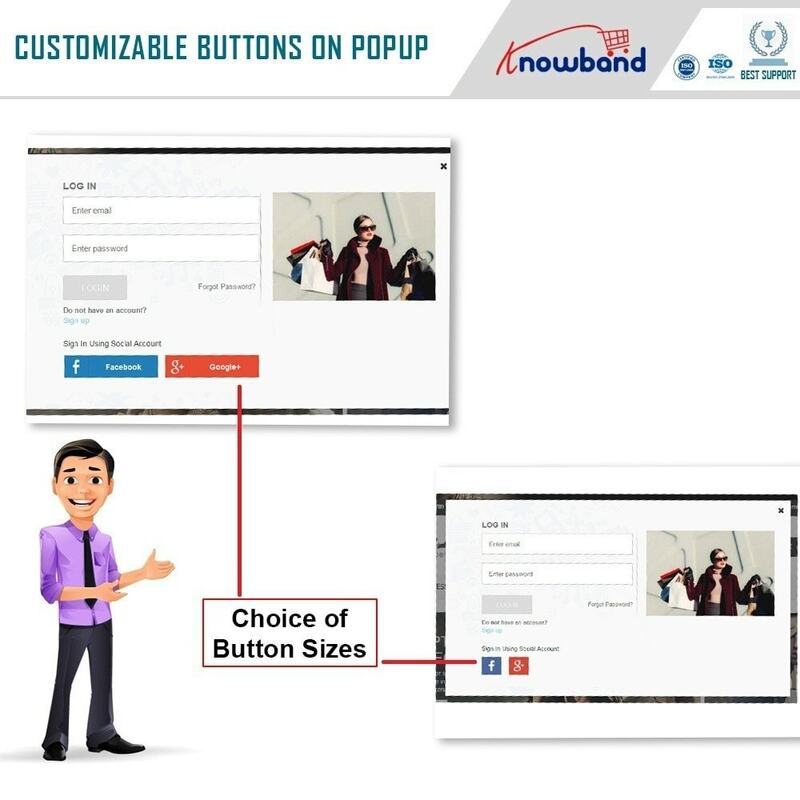 The module is responsive, they can use the pop-up login even on their mobile devices. Compatibility with all the major internet browsers.